is a very personal hotel sales and marketing company run by a team of travel professionals who simply know their properties inside out. elcome to ‘IT’S ALL ABOUT THE HOTEL’, a brochure which celebrates what you can expect and more when staying in the Caribbean at one of our superb privately owned hotels. As well as enjoying sumptuous suite accommodation and sampling local cuisine to stimulate the most discerning palate, days can be spent partaking in all the activities and therapies on offer. And of course the hotel barman will undoubtedly show you how to mix the best rum cocktail ever! Ultimately these are memories you will hold on to for many years to come. A successful holiday is all about selecting the right resort most perfectly suited to the guests’ needs… and this collection of hotels can certainly deliver. Essential Detail’s gorgeous boutique hotels will inspire you to try not just one, but many of these unique gems in the Caribbean. Island hopping has to be the best holiday experience of them all … why stop at one hotel or one island, with such diversity on offer if you visit more? From our wealth of experience and knowledge, we bring you the very best in boutique luxury Caribbean hotels. Contact us to tell us about what experience you are seeking… whether it’s a drop-dead-gorgeous water’s edge suite, creative tasty cuisine or a private island escape… our team can provide an abundance of help and advice to make it a reality. There are so many different experiences available at our Caribbean hotels, it is hard to make a choice of which property to try first! Where are the best beaches, which resort caters for families, is there a spa? So we have designed the following page to make your selection easier, by simply highlighting six ‘experiences’ to which our hotels are particularly suited. 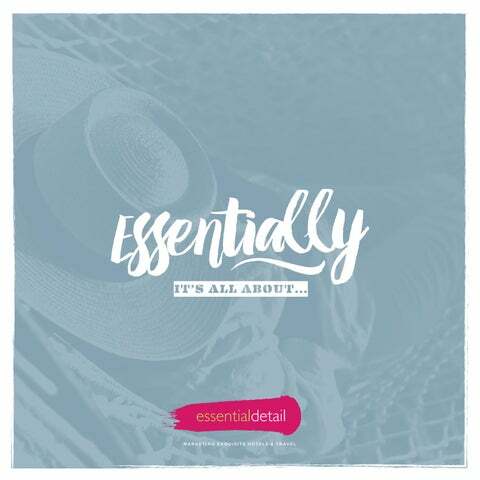 All of us at Essential Detail have been lucky enough to have visited our hotels on many occasions and are available to chat to you personally about them....so please do call us. Renowned for its servic e and magn quintessen ificent beac tial family h, this owned reso featuring sp rt boasts 52 acious vera suites n da s and sweepi the Caribbe ng views of an Sea . JAMAICA An intimate all-suite hideaway on a stunning private cove beach, where peace and relaxation are the main focus. Attention to detail sets this small luxury hotel apart. It’s all about the guest rooms with their spacious furnished verandahs and outside living, but the impeccable Cottages have to be the suite experience-ofa-lifetime, right on the cliff edge with stunning ocean vistas from every vantage point. JAMAICA A privately owned, genuine boutique hotel in Negril where all rooms are superbly appointed with pampering extra touches and amenities. The design is exquisite and contemporary with a stylish nod to Jamaica in terms of the art and decor. The location has to be the best for those seeking a true Jamaica vibe with local rhythmic bars and eateries close by. Our beach location offers elegantly appointed guest suites and beach cabanas with private servers. Our team antici pate your every need; we are about making your stay the ultimate holiday escaping from the ordinary. We are the pinnacle of Caribbean hosp itality, and the standard for luxu ry Caribbean holidays. Warm smiles and excellent service charm each gues t. Repeat visits are inevitable – a luxu ry holiday that excee ds expectations. We share a similar passion to our hotels when it comes to cuisine. We all feel that great quality locally sourced fresh food and fine wines are essential ingredients to a successful holiday! Each of our hotels offers superb restaurants which are renowned on the islands for their considerable knowledge of cuisine, innovative ideas and approach to eating and drinking, as well as being set in the most gorgeous locations. Some even have celebrity chefs and, in our eyes, offer award winning experiences for any discerning diner. A cool beachside veranda on stunning Friendship Beach overlooking Mustique is the restaurant setting at Bequia Beach Hotel. Its inspired menu with classic and Caribbean influences is one of the most popular places to dine on the island! An intimate beachfront and true al fresco style dining experience, with great food and lovely attentive staff. Choose from an eclectic menu from continental to authentic, deliciou s Caribbe an dishes. Guests enjoy cocktail concoctions infused with local fruits in The Lounge before dinner at the hotel’s restaurant positioned out over the water at Falmouth Harbour. The simplicity of the fresh, farm to table ingredients are absolutely delicious. At Jamaica Inn guests dine by candlelight under the stars with live music enjoying cuisine infused with local flavours. There’s a nightly changing menu where you can choose up to six expertly prepared courses. Bongos Restaurant, Jamaica This is a great spot on Negril at Sandy Haven for intimate fine cuisine. Guests enjoy top liquors and wines and the traditional Jamaican dishes. There’s a modernist chic appeal which will certainly satisfy the bon vivant. Sublime cuisine at East Winds with fresh local ingredients and classical French techniques, set in a beachfront veranda with live entertainment from a Steinway Grand Piano, superb Jazz or a local Shak Shak band. h, open Set on Curt ain Bluff ’s Bay Beac the from feet to the sea breeze, just ious delic s offer e Grap Sea , water’s edge as an ers dinn ate intim and hes lunc arind alter native to the gour met Tam Tree Rest aura nt. Flying fish and cou cou – traditionally served on Saturdays with lemon, shallots and spices and shallow fried in breadcrumbs, served with creole sauce and a local cornmeal and okra dish. Roast breadfruit and fried jack fish – the breadfruit itself is tied to St Vincent’s culture and heritage and its unique shaped leaf can be seen engraved into flower pots everywhere. Shrimp creole – large shrimp are marinated in habanero pepper, garlic, onion, lime juice, herbs and a dash of the best St Lucian dark rum, and served with tomato sauce rice and salad. Each Caribbean destination has its own favourite dish which the islanders are passionate about, using locally sourced ingredients readily available from the soil or the sea! Set your taste buds ablaze with the vibrant cuisine of the West Indies, which is a fusion of traditions brought from many different countries. The island populations have created styles that are unique to the region. Ingredients which are common in most islands’ dishes are rice, plantains, beans, cassava, bell peppers, chickpeas, tomatoes, sweet potatoes and coconut, plus various meats and fish that are locally available. A characteristic seasoning for the region is a green herb and oil based marinade which imparts a flavour profile which is quintessentially Caribbean in character. Ingredients may include garlic, onions, scotch bonnet peppers, celery, green onions, and herbs like cilantro, marjoram, rosemary, tarragon and thyme. This green seasoning is used for a variety of dishes like curries, stews and roasted meats. To whet your appetite you’ll find opposite a selection of the delicious popular dishes from the islands. Jerk chicken – a real island favourite, this spicy chicken dish is baked with garlic, jerk seasoning, onion and a can of beer and served, of course, with rice and peas. ST LUCIA Unstuffy yet impeccable, Eas t Winds is what a boutique hote l really should be … an intima te, exclusive-inclusive hotel of true quality and charm with the friendliest of staff. Private gue st rooms, all of which were refr eshed and refurbished in 201 6 reflect a local stylish flair. It’s all about relaxation, the fine st cuisine, superb wines, and tail or made guest activities to enhance the guest experie nce. The ferry, the Coconut Bar, the thatched dinin g huts, the six homemade breads, superb staff, excellent servic e all on a romantic private island make Young Island a special experience. ST VINCENT & THE GRENADINES An understated all-inclusive resort on a totally private, stressfree island; the perfect barefoot hideaway escape. Rooms and suites are in pretty thatched gazebo style cottages with quirky outside showers. To experience more of the Grenadines simply sail away on the hotelâ&#x20AC;&#x2122;s private catamaran and enjoy some of the best sailing waters in the Caribbean, before stopping for lunch on the escapist islands of Mustique and Bequia. Bequia Beach Hotel is an uno btrusive luxury resort full of memorabilia and an incredib le attention to details that crea te a timeless sense of elegance. A retro-boutique resort on the totally stress-free island of Bequia, now a sought-after hideaway escape. The gorgeo us, individually styled suites, ma ny of which are right on the beach combine with a casual beachfront restaurant and local cocktail bar to create the perfect chill-out holiday spo t. Guests also love discovering local restaurants such as Jac k’s Bar close by, and meeting the friendly islands residents. What’s special... The alluring, natural and incredibly charming island of Bequia The pool cabanas and the stylish rooms and suites The ‘unstuffy’ luxury – toes definitely barefoot in the sand! BARBADOS Something refreshingly different on the west coast! A unique combination of mid-17th Century Bajan history with a twist of stylish modern day elegance reflected in the villa suite accommodation. The ever popular Fish Pot Restaurant is right on the water’s edge offering the most delicious menus on island. This is a place where the main aim is to ensure ultimate guest relaxation without any fuss. When guests use phrases like ‘laid-back elegance’, ‘superb, friendly restaurant’ and ‘bags of character’ to describe us, we know we have hit the mark on what makes our little piece of paradise special. 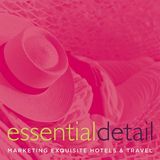 The boutique collection of very special hotels featured in this brochure all enjoy dropdead-gorgeous Caribbean locations, on islands which offer incredible and exciting diversity. Everyone has a different concept of their ideal holiday experience, and we truly believe there’s something for everyone. With thanks to the following organisations for supplying information and photography for this publication: Caribbean Tourism Organization; Barbados Tourism Marketing Inc; St Vincent & the Grenadines Tourism Office; Saint Lucia Tourist Board; Antigua & Barbuda Tourism Authority; Jamaica Tourist Board.